The Maternal-Infant Health workgroup is made up of participants from tribes, urban programs and partners. The MIH Workgroup meets quarterly and the meetings are determined via doodle poll. 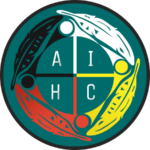 The overall purpose of the group is to improve maternal and infant health among American Indian and Alaska Natives in Washington state. The group also serves as an advisory board for various initiatives and programs working with Maternal Infant health in the state. The goal is to have tribally driven input and solutions to improve the MIH Health disparities in our communities and our state.